Carved Olivewood Beads 8mm (for custom rosaries only, not for individual sale). See below for more details. 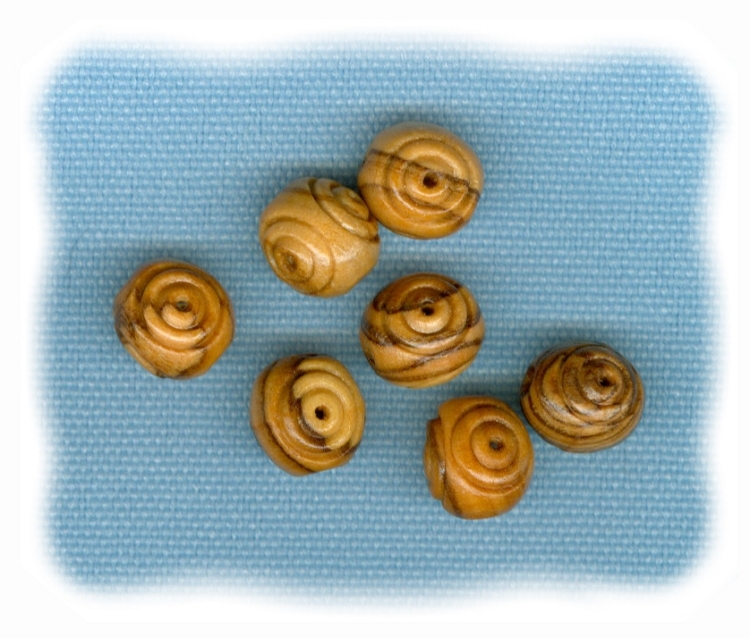 These carved Bethlehem olivewood Pater beads will make any rosary special. They are about 7.5mm in size with a lovely variation of wood grain and colors ranging from light to dark. Many beads have a nice mixture of both. Price includes all 6 beads. These beads are for custom rosaries only. If you are looking for individual beads for sale, please click here to visit my bead section for crafters.